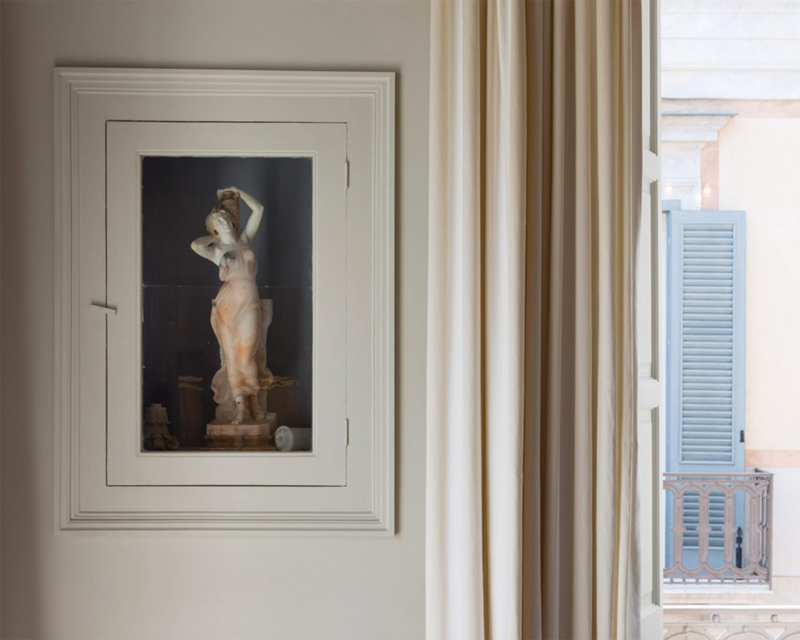 Suite Eight (Gia) in Palazzo Margherita. Image courtesy of Coppola Family Retreats. Suite Four (Sofia) in Palazzo Margherita. Image courtesy of Condé Nast Traveller. I have not visited Bernalda yet but I am ready to book my stay right away. This detail is from Suite Seven (Roman). Image courtesy of Coppola Family Retreats. "There's a certain parallel between directing a film and creating a hotel. I think that's why my father is so good at making hotels: he knows that they have a story and how to create an atmosphere; he has that director's eye for detail. Palazzo Margherita is an old noble family's house built in 1892, in the very south of Italy. It sits on a square in the town of Bernalda, a little Eden behind these huge wooden doors. My great-grandfather moved from the town to New York over a century ago, and it still feels like Italy from another era, with grandmas' laundry hanging from balconies and old men sitting on the sidewalk all day. Slip off the street, through the gates and into the gardens, and Palazzo Margherita is its own magical world. I could sit in the courtyard all day or by the pool with a book, where the wonderful staff bring platters of fresh fruit – plums, apricots – on crushed ice. In the summer, when it gets really hot, I wander into the kitchen and feast on incredible pasta or a salad of fresh tuna, handfuls of rocket and fine red onions, served on a beautiful, hand-painted blue-and-white dishes that my mother chose from a nearby town. Then I pull up a seat at the Cinecittà Bar, named after the legendary Italian movie studio, and drink iced coffee while the jukebox plays old tunes, or wander into town for gelato at Gelateria Novecento. I love to stay in Suite Four, my room, all pretty pinks and grey, with a balcony overlooking the courtyard and a clawfoot tub in the bathroom. Every room in the palazzo has its own personality. 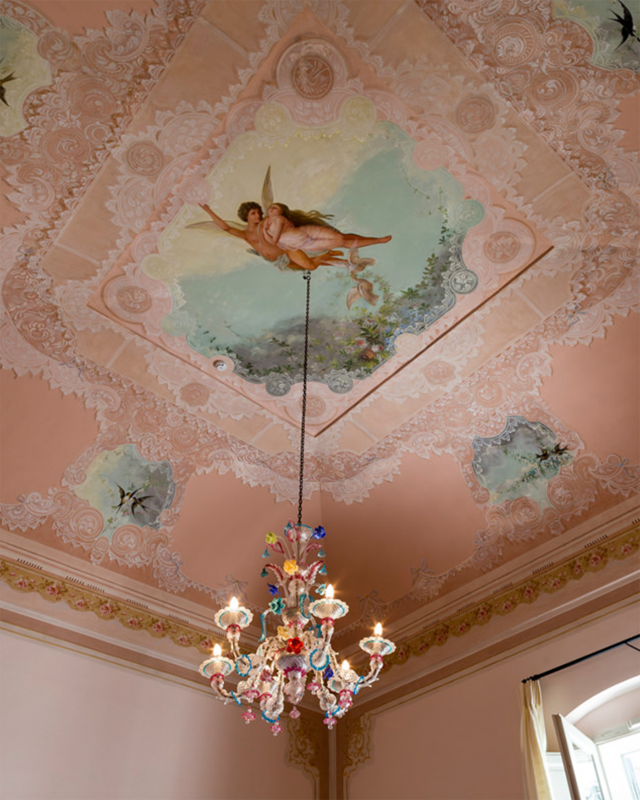 The architect, Jacques Grange, restored a lot of original details: beautiful murals, intricate tiling and frescoes on the ceilings. And upstairs, there's a big salon with a movie screen where my father has put the whole Martin Scorsese collection of the history of Italian cinema. I remember one time watching a comedy called 'Sedotta e Abbandonata' (Seduced and Abandoned) from 1964. There's something very romantic about seeing these old Italian films, in this old Italian house – it makes you feel like you've stepped into another life." 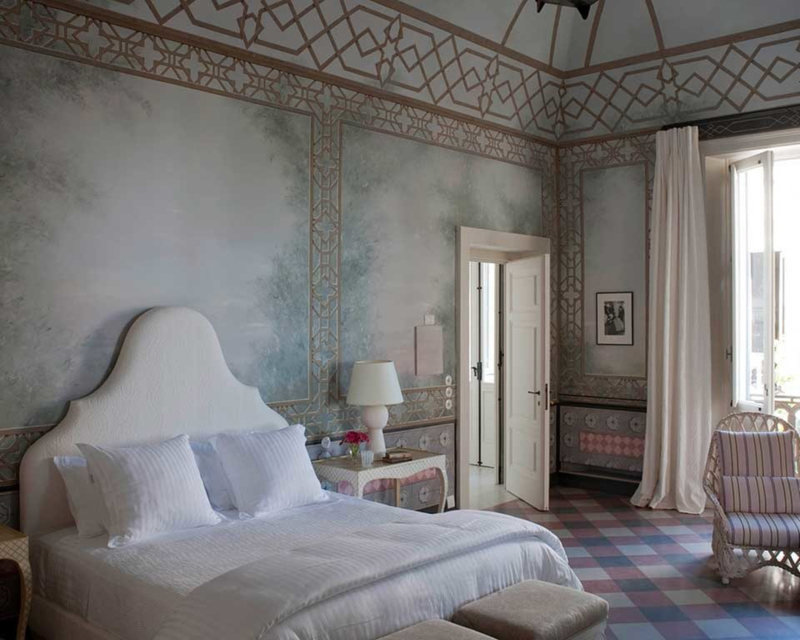 Sofia Coppola writes about her family's luxury retreat Palazzo Margherita in the new book Chic Stays by Assouline in collaboration with Condé Nast Traveller. The book consists of thirty-five personal tales of the loveliest spots around the globe. CN Traveller's favourite people tell about their favourite places. Kate Moss loves the privacy and wildlife of the Maldives, Florence Welch likes to party in Chateau Marmont, and for Bill Nighy The Carlyle is the only place to stay in New York. Available October 27, 2016.